Administrative Law Judge Bob N. Varma (ALJ), Office of Administrative Hearings, State of California (OAH), heard this matter in San Jose, California, on August 23 and 24, 2010. Barbara A. Fielden, Attorney at Law, appeared on behalf of Student. She was assisted by Elizabeth Edwards. Parents were present at the hearing. Student was not present at the hearing. Rod L. Levin, Attorney at Law, appeared on behalf of the San Jose Unified School District (District). Lynn M. Stacey, Director of Special Education for District, and Ellen Sykes, Elementary Special Education Manager for District, were also present at the hearing. On April 30, 2010, Student filed a request for due process hearing. On June 16, 2010, the matter was bifurcated for determination of the threshold issue of residency and the remainder of the case was continued to August 23, 2010. At the close of the hearing, the matter was continued to September 3, 2010, so the parties could file written closing arguments. 1 On September 3, 2010, the record was closed and the matter was submitted for decision. 1 To maintain a clear record, the closing briefs have been marked as exhibits. Student’s brief has been marked as Exhibit S29. District’s brief has been marked as Exhibit D67. Did District deny Student a free appropriate public education (FAPE) for the 2009-2010 school year (SY), from March 24, 2010, onwards, by failing to conduct an assistive technology (AT) assessment? Did District deny Student a FAPE for the 2009-2010 SY, from March 24, 2010, onwards, by predetermining his placement at the Reed Elementary School (Reed) site? Did District deny Student a FAPE for the 2009-2010 SY, from March 24, 2010, onwards, by failing to provide the agreed-upon services of resource specialist program (RSP), five times a week for 30 minutes a session and occupational therapy (OT), two times a week for 25 minutes a session? Student asserts that District failed to assess his AT needs even though it acknowledged that Student required an AT assessment. He contends that at the March 26, 2010 individualized education program (IEP) team meeting, District predetermined his placement when it offered placement at Reed and did not offer alternative school sites. Student also contends that he consented to the provision of RSP and OT services offered in the August 27, 2009 IEP, but District failed to subsequently provide these services. District asserts that it was ready and willing to assess Student’s AT needs. However, for District to carry out the assessment Student needed to be present in the classroom environment and Parents refused to allow Student to attend school. District contends that it did not predetermine Student’s placement at Reed because it offered Reed only after the IEP team had determined Student’s special education and general education placement needs and where these needs could be met. Finally, District contends that it was prepared to provide Student with RSP and OT services if Parents had allowed him to attend school. However, District asserts that Parents did not consent to the services and instead informed District that Student would attend private school during the 2009-2010 SY. 2 These issues are those framed in the August 16, 2010 Order Following Prehearing Conference. The ALJ has revised the issues without changing their substance, for purposes of organizing this decision. On August 19, 2010, Student withdrew two issues concerning whether District had appropriately addressed Student’s needs in academics and aide support. Accordingly, those issues are not addressed in this decision. 3 Student did not present any evidence regarding the specifics or the appropriateness of the remedies he sought. 1. Student is a nine-year-old fourth grader, eligible for special education services under the disability category of other health impaired. He is diagnosed with Systemic Juvenile Idiopathic Arthritis. 2. On July 30, 2010, OAH determined that Student became a resident of District on March 24, 2010. Accordingly, all of Student’s claims in this case are limited to the time period arising after March 24, 2010. However, Student has attended school within District’s geographic boundaries from the beginning of the 2006-2007 SY onwards. Student’s initial IEP was developed on August 27, 2009, which is prior to the time period for which District was deemed responsible for the provision of special education to Student. On March 26, 2010, an addendum IEP team meeting was held, which reiterated the August 27, 2009 IEP offer. Therefore, the decision will analyze whether the District denied Student a FAPE as to the issues raised in this case based upon the August 27, 2009 IEP, which remained in effect after March 24, 2010. 3. Parents of a child with a disability must be afforded an opportunity to participate in meetings with respect to the identification, assessment, educational placement, and provision of a FAPE to their child. A district must fairly and honestly consider the views of parents expressed in an IEP meeting. School officials may not arrive at an IEP meeting having already decided on the program to be offered. A district does not predetermine an IEP simply by meeting to review and discuss a child’s evaluation and programming in advance of an IEP meeting, but a district that predetermines the child’s program and does not consider the parents’ requests with an open mind has denied the parents’ right to participate in the IEP process. The test is whether the school district comes to the IEP meeting with an open mind, and discusses and considers the parents’ placement recommendations and concerns before the IEP team makes a final recommendation. 4. On August 27, 2009, the parties met at Booksin Elementary School (Booksin), Student’s home school, to develop his initial IEP.4District reviewed its assessment results from Student’s initial assessments for special education eligibility, and determined him to be eligible for special education. After review of the assessment reports and discussion by the team, District recommended that an AT assessment be performed and documented its offer in the IEP. However, District did not present Parents with an assessment plan. 6. Ms. Sykes has been an administrator for District for four years, and has participated in approximately 150 IEP team meetings per year as an administrator. She was a teacher for 15 years prior to becoming an administrator. Ms. Sykes oversees District’s legal and compliance department, OT services, APE services and elementary special education. At the August 27, 2009 IEP team meeting, after discussion of Student’s eligibility, needs and special education services, the IEP team discussed placement in general education, as set forth in Factual Finding 5. Ms. Sykes then attempted to identify a school site placement for Student. However, all of the third grade regular education classrooms at Booksin were filled. Upon contacting the Student Assignments department (Student Assignments), Ms. Sykes determined that Reed was the closest elementary school to Booksin which had an opening in a regular education third grade classroom. Ms. Sykes testified that this was discussed in the meeting and it was after her determining that Booksin was full, that District offered placement at Reed for the 2009-2010 SY. Ms. Sykes testimony was credible and persuasive. 7. Ms. Sykes testified that prior to contacting Student Assignments, she did not know what school site District would offer to Student. To her understanding, District had not determined Student’s school site prior to the IEP team meeting of August 27, 2009. Ms. Sykes testimony was corroborated by Jenny Wagner, District’s occupational therapist. Ms. Wagner attended the August 27, 2009 IEP team meeting and left after the discussion of goals and recommendation of services. She testified that by the time she left the meeting, District had not made an offer of a particular school site. 8. Mother testified that she had legal counsel at the IEP meeting and initially Mother restrained her own involvement. However, as the meeting progressed, Mother involved herself further in the discussions. Father testified that District did not present a draft IEP document with Reed as the identified school site placement. 9. Whether District’s placement at Reed was predetermined is an issue in this case from March 24, 2010, through March 26, 2010, because the August 27, 2009 IEP offer remained in effect for those two days until superseded by the March 26, 2010 addendum IEP. As set forth in Factual Findings 4 through 8, the evidence established that District did not come to the August 27, 2009 IEP team meeting with a predetermined placement or a closed mind and Parents participated in the discussions regarding placement. Accordingly, the evidence established that District did not predetermine Student’s placement in the August 27, 2009 IEP, when it offered Reed as the school site. 4 While Booksin was Student’s home school, Student had been home schooled during the 2008-2009 SY and had not attended Booksin. 5 Student did not raise any allegations regarding OT or APE consult services. 10. Parents did not consent to the offered placement at the time of the August 27, 2009 IEP team meeting. The parties engaged in settlement negotiations regarding Student’s placement for the 2009-2010 SY.6 From September 1, 2009, through October 9, 2009, Mother drafted, edited and executed a “Signature and Parent Consent” page, in which she outlined the placement and services she was accepting. The document raises concerns regarding Mother’s credibility because she wrote it and titled it as “Addendum from 8/27/09 IEP.” The document contains the names of the parties’ counsels as if the attorneys had participated in an addendum IEP meeting and gives the appearance that District had made placement offers at school sites other than Reed through the IEP development process. 11. Mother testified that she mailed and hand delivered the “Signature and Parent Consent” page to District and it constituted her acceptance of placement at either Hacienda Elementary School (Hacienda) or Williams Elementary School (Williams). However, the evidence established that District never offered Student placement at Hacienda or Williams, outside of a confidential settlement communication. Ms. Sykes testified that she had never seen the document. The evidence also did not establish that District received the acceptance page from Mother. 12. Mother testified that the “Signature and Parent Consent” page was her acceptance of an IEP offer from District and created an obligation on the District to provide Student placement and services pursuant to that document. As discussed in Factual Finding 11, District did not offer placement at Hacienda or Williams through the IEP process or outside of confidential settlement negotiations. Therefore, the “Signature and Parent Consent” page can only be considered as a counter-offer from Parents to District. Because it was never executed by District, a binding agreement to provide placement and services pursuant to the “Signature and Parent Consent” page was not created and District had no obligation to provide placement and services to Student at Hacienda or Williams. 6 Confidential settlement communications and offers between the parties have not been considered in this decision. However, limited testimony regarding two school sites other than Reed was allowed in order to give context to a Parent drafted “Signature and Parent Consent” page, which was entered into evidence. 13. Mother testified that following the August 27, 2009 IEP team meeting, she had a telephone conversation with Ms. Sykes, wherein Mother was told that District chose Reed for Student because he was Caucasian and disabled. According to Mother, Ms. Sykes stated that District had a desegregation plan and while Mother had listed Student as being of multiple ethnicities on the enrollment form, District considered him to be Caucasian. According to mother, she went on to tell her that he could not attend Booksin because he was a disabled Caucasian. Mother’s testimony was not credible as it was not supported by the evidence. She testified that the race-based remarks by Ms. Sykes prompted her to write a letter to District on October 9, 2009. However, nothing in the letter corroborates Mother’s account of the conversation with Ms. Sykes pertaining to Student’s ethnicity. Mother also testified that she filled out Student’s enrollment form in August 2006 and marked several different categories under ethnicity. She testified that it was her practice to mark several ethnic categories for her children. However, the enrollment form shows that Mother only marked “White/Non Hispanic” as Student’s ethnicity. Mother testified that the form may have been altered. The form had Mother’s signature, appeared to be in Mother’s handwriting and was one of the pieces of evidence relied upon by Student during the bifurcated hearing on residency to establish Student’s residency within District’s boundaries. Student did not establish that District predetermined its offer of Reed based upon his ethnicity for the time period of August 27, 2009, through March 26, 2010. *Which would have been easily accomplished by any addendum IEP with a real and immediate placement in any of the four “offered” schools. This time has passed…many times over. 7 The prior acceptance referred to in the October 9, 2009 letter is that contained in the September 1, 2009 “Signature and Parent Consent” page. 16. District received Parents’ October 9, 2009 letter on October 12, 2009. Ms. Sykes testified that she reviewed the letter and discussed it with Michele Syth, then Director of Special Education for District. Parents’ notice of intent to place Student in a nonpublic school at District’s expense was treated as a request by Parents for District to fund his placement at a nonpublic school. On October 12, 2009, District sent Parents a letter reiterating the placement and service offer at Reed.9The pertinent portions of District’s offer included placement at Reed; pull-out RSP services for five times a week, 30 minutes a session; and pull-out OT services for two times a week, 25 minutes a session. The October 12, 2009 letter clarified that any offers of school sites other than Reed were part of settlement discussions and not part of an IEP offer. 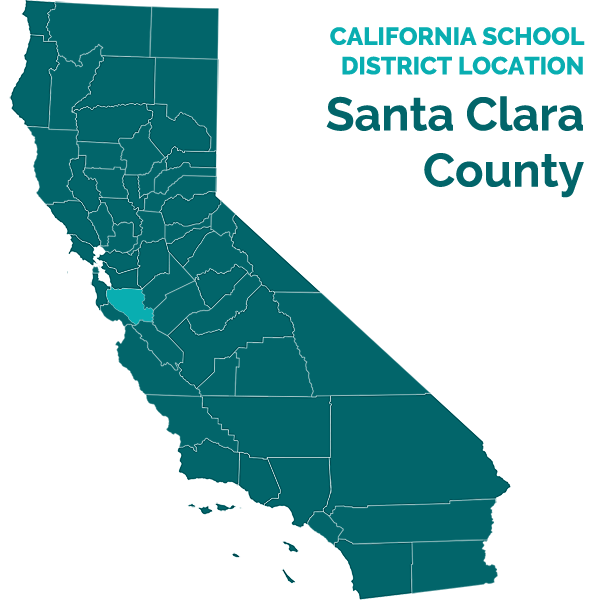 District informed Parents that it believed Student had been offered a FAPE and therefore, would not fund Student’s placement at a nonpublic school. Parents did not accept the offer contained in the October 12, 2009 letter. All further communications between the parties up to March 24, 2010, are not relevant to the issues in this case. 17. The parties do not dispute that District recommended and offered Student an AT assessment at the August 27, 2009 IEP team meeting. However, the District did not provide an assessment plan to Parents. On March 26, 2010, the parties met to develop an addendum IEP to the August 27, 2009 IEP. The March 26, 2010 addendum IEP documents the parties’ discussion regarding an AT assessment. Parents requested an AT assessment and District offered to conduct one “should Student return to school.” Mother and Ms. Sykes testified that District did not provide Parents with an assessment plan. Ms. Sykes testified that District would have provided Parents with an assessment plan for the AT assessment, had Student begun attending Reed. 8 Parents did not place Student in a private school during the 2009-2010 SY. 9 The letter was sent by registered mail and was not immediately received by Parents. Mother testified that she saw the letter some time between October 31, 2009, and December 1, 2009. 18. As discussed in Legal Conclusion 7 when a school district proposes to conduct an assessment, it is required to provide the parent of the pupil with an assessment plan within 15 days. The purpose of the assessment plan, among other things, is to inform the parent, in writing, of what areas of suspected disability a school district plans to assess, the person who will conduct the assessment, what types of tests may be utilized and to obtain written consent. 19. Here, District’s failure to provide Parents with an assessment plan for the proposed AT assessment is a procedural violation. The procedural violation occurred at the August 27, 2009 IEP team meeting and repeated at the March 26, 2010 addendum IEP team meeting when District again offered the AT assessment, but failed to provide an assessment plan. As discussed below in Factual Finding 20, Student needed to be in the school setting to be assessed. However, this does not excuse District’s obligation to offer an assessment plan and state in the plan that Student needs to be in the school setting to be assessed. A procedural violation of the Individuals with Disabilities Education Act (IDEA) is not a denial of FAPE unless it impeded the child’s right to a FAPE, significantly impeded the parent’s opportunity to participate in the decision-making process regarding the provision of a FAPE to the child, or caused a deprivation of educational benefits. 20. Anna Pulido has been District’s AT specialist since 2007. She has performed between 50 and 60 AT assessments. In addition to assessments and services for District students, Ms. Pulido also teaches an educational technology class at the University of California, Santa Cruz. Ms. Pulido testified that for her to conduct an AT assessment, Student needed to be in the school setting. The purpose of AT is to assist a student in accessing his or her school environment, including the classroom and educational curriculum. The type of technology a student may need cannot be assessed unless the student is in the actual school environment where the student will be using the AT. For Student, this would mean that Ms. Pulido needed to observe Student in his general education and special education settings at the school site to conduct the AT assessment. 21. Ms. Pulido testified that the IEP team of August 27, 2009, discussed District’s recommendation for an AT assessment. However, the evidence did not establish that Parents were informed that Student needed to be in a school setting in order for Ms. Pulido to conduct the AT assessment. Had District provided Parents with an assessment plan it would have given them notice of the need to present Student at the school setting in order to conduct an AT assessment. Accordingly, District’s failure to provide an assessment plan at or following the August 27, 2009 IEP team meeting could have impeded Student’s right to a FAPE, significantly impeded Parents’ opportunity to participate in the decision-making process regarding the provision of a FAPE to Student, or caused a deprivation of educational benefits. However, Ms. Pulido also testified that at the March 26, 2010 IEP team meeting it was explained to Parents that Student needed to be in a school setting in order for District to conduct an AT assessment. Student did not contradict this testimony. Therefore, even if District failed to inform Parents of the need for Student to be in a school setting for District to conduct an AT assessment from March 24 through March 26, 2010, District’s failure was cured on March 26, 2010. The evidence did not establish that Parents’ failure to know Student needed to attend school in order to receive an AT assessment impeded Student’s right to a FAPE, significantly impeded Parents’ opportunity to participate in the decision-making process regarding the provision of a FAPE to Student, or caused a deprivation of educational benefits to Student for the two-day period of March 24 through March 26, 2010. Accordingly, District’s procedural violation did not result in a substantive denial of FAPE from March 24 through March 26, 2010. 22. The evidence established that Parents were not going to present Student at school for purposes of an assessment because they were in dispute with District regarding the particular school site Student should attend. Therefore, because Parents were informed at the March 26, 2010 IEP team meeting of Student’s need to be in school in order for District to conduct an AT assessment, District’s failure to present an assessment plan following the March 26, 2010 IEP team meeting did not impede Parents’ participation in the decision-making process regarding the provision of a FAPE to Student from March 26, 2010, onwards. 23. Due to the dispute over the placement at Reed, Parents did not send Student to school during the 2009-2010 SY and withdrew their consent for all services and assessments on October 9, 2009. The evidence established that despite knowing, from March 26, 2010, onwards, that Student needed to be in a school setting in order to be assessed for AT, Parents were unwilling to present Student for the assessment. Because Student was not in a school setting, District’s failure to present Parents with an assessment plan for AT did not impede in Student’s right to a FAPE or cause a deprivation of educational benefits. 24. Parents testified that District predetermined the offer of placement at Reed prior to the March 26, 2010 IEP team meeting because District began the discussion of school sites with Reed as the offered placement. District offered placement at Reed in the August 27, 2009 IEP and the October 12, 2009 letter, as set forth in Factual Findings 6 and 16. Accordingly, it would be logical and not a predetermination for Student’s IEP team to begin the March 26, 2009 addendum IEP team meeting discussions regarding school site placement with Reed. 26. The evidence did not establish that District prevented Parents from discussing Student’s placement and services at school sites other than Reed. Quite the contrary, the evidence established that Parents and counsel were able to discuss each part of Student’s placement and services they felt needed to be addressed. The evidence established that District did not come to the March 26, 2010 addendum IEP team meeting with a predetermined placement. While Reed had been the last placement offer prior to the March 26, 2010 IEP team meeting, the evidence established that District was willing to consider the views of Parents and listen to why Parents believed Reed was inappropriate. Student did not meet his burden to show that District predetermined Student’s placement in the March 26, 2010 addendum IEP with respect to the Reed school site. 27. Through the August 27, 2009 IEP and the October 12, 2009 letter, District offered Student pull-out RSP services for five times a week, 30 minutes a session and pullout OT services for two times a week, 25 minutes a session. Student contends he accepted the RSP and OT services prior to March 24, 2010. As discussed in Factual Finding 15, even if the “Signature and Parent Consent” page of September 2, 2009, was considered a partial acceptance of offered services, Parents withdrew consent on October 9, 2009. Therefore, for the time period of March 24, 2010, through March 26, 2010, District did not have a responsibility to provide Student with pull-out RSP and pull-out OT services. 28. The March 26, 2010 addendum IEP reiterated District’s offer of pull-out RSP and pull-out OT services from the August 27, 2009 IEP because it incorporated, by reference, the August 27, 2009 IEP offer of placement and services. At that point, Parents could have accepted in part or in full District’s offer of placement and services. However, Parents did not consent to any part of the March 26, 2010 addendum IEP, other than the offer to visit Reed. Accordingly, District did not have a responsibility to provide Student with pull-out RSP and pull-out OT services from March 26, 2010 onwards. 29. Student asserts that even though he did not consent to placement at Reed, District could have provided him with the RSP and OT services at alternative sites, such as his home. Ms. Wagner testified that on special occasions children have come to the school site for only the related service. However, based upon Factual Findings 14 and 15, Student withdrew all consent on October 9, 2009, and did not provide any consent after March 24, 2010, for RSP or OT. Therefore, District did not have a responsibility to provide RSP and OT services to Student during the relevant time period of March 24, 2010, onwards and, accordingly, this decision need not reach the issue of whether these services could have been provided at an alternative site than Reed. 10 Following the March 26, 2010 IEP team meeting, Mother visited Reed. She testified that after viewing the school site she did not believe it was appropriate for Student. However, Student did not allege claims regarding whether placement at Reed would provide Student a FAPE and that issue is not addressed in this decision. 1. Under Schaffer v. Weast (2005) 546 U.S. 49 [126 S.Ct. 528], the party who files the request for a due process hearing has the burden of persuasion. The Student filed the complaint in this matter, and, therefore, has the burden of persuasion. Issue 1: Did District deny Student a FAPE for the 2009-2010 SY, from March 24, 2010, onwards, by failing to conduct an AT assessment? 8. Here, the parties do not dispute that Student required an AT assessment. As set forth in Factual Findings 4 and 17, District recommended and offered to assess Student’s AT needs at both the August 27, 2009 IEP and the March 26, 2010 addendum IEP meetings. Based upon Factual Findings 4, 17 and 19, the evidence established that District failed to provide Parents with an assessment plan. District’s contention that it did not violate the IDEA because an assessment plan would have been provided if Student attended school at Reed, is not persuasive. While Parents understood that an AT assessment would be conducted if Student were to attend Reed, the failure to provide an assessment plan deprived Student of procedural rights under the IDEA designed to ensure Parents understood their rights and the assessments District intended to perform, including the types of tests that may be utilized and where they were to be conducted. Accordingly, District committed a procedural violation of the IDEA when it failed to provide Parents with an assessment plan from March 24, 2010, onwards. 9. However, as set forth in Legal Conclusion 5, a procedural flaw does not result in a denial of FAPE unless it impeded the child’s right to a FAPE, significantly impeded the parents’ opportunity to participate in the decision-making process regarding the provision of a FAPE to the child, or caused a deprivation of educational benefits. Based upon Factual Finding 20, Student needed to be in the public school environment where he would receive services for Ms. Pulido to be able to conduct an AT assessment. As set forth in Factual Finding 21, to the extent a failure to provide an assessment plan following the August 27, 2009 IEP team meeting, could have resulted in a substantive denial of FAPE to Student because Parents were unaware that Student needed to be in a school setting, District cured the procedural violation on March 26, 2010, when it informed Parents that the AT assessment would need to be conducted when Student was in a school setting. The failure to present an assessment plan did not result in a substantive denial of FAPE for the two-day time period of March 24 through March 26, 2010. 10. With respect to the time period of March 26, 2010, onwards, based upon Factual Findings 20 and 21, Parents were aware the Student needed to be in a school setting in order for District to conduct an AT assessment. As set forth in Factual Findings 22 and 23, Parents were unwilling to send Student to a school setting. Because Parents knew of the need to have Student in a school setting in order for him to be assessed and they chose not to send Student to school, the failure to present an assessment plan following the March 26, 2010 IEP team meeting did not significantly impede Parents’ opportunity to participate in the decision-making process regarding the provision of a FAPE to Student. Because Student was not in a school setting, the failure to present an assessment plan also did not impede in Student’s right to a FAPE or cause a deprivation of educational benefits. Accordingly, for the time period of March 24, 2010, onwards District did not deny Student a substantive FAPE when it failed to provide Parents with an assessment plan. Issue 2: Did District deny Student a FAPE for the 2009-2010 SY, from March 24, 2010, onwards, by predetermining his placement at Reed? 14. The time period at issue is from March 24, 2010, onwards. As discussed in Factual Finding 6 and 16, District’s offer of placement at Reed pursuant to the August 27, 2009 IEP was the current offer of placement on March 24, 2010. Based upon Factual Findings 4 through 9, the evidence established that District did not predetermine the placement offer at Reed. District staff did not meet to discuss or come to a consensus on a school site placement before the IEP team meeting on August 27, 2009. Ms. Sykes conducted a search for available school sites after the IEP team had discussed and determined Student’s annual measurable goals and special education services. District considered Parents’ request for Booksin and explained to Parents that the regular education classrooms at Booksin were full. Accordingly, for the time period between March 24 through March 26, 2010, District did not predetermine Student’s placement at Reed. 15. As set forth in Factual Findings 24 and 25, the parties discussed school site placements at the March 26, 2010 addendum IEP team meeting. Because Reed had been the last offered placement by District, it was not predetermination by District for the IEP team to begin the discussion of school site placement with Reed. When Parents could not identify any concerns they had with Reed, District offered to have Parents visit the school site. As set forth in Factual Finding 25, the parties agreed that Parents would visit Reed. District explained why Booksin remained unavailable and engaged in discussion to ascertain why Parents believed Reed was not appropriate for Student. The evidence did not establish that District failed to consider parental input or concerns. 16. Student contends that District predetermined his placement at Reed during the March 26, 2010 addendum IEP meeting because it offered only Reed and would not change its position. Student’s contention is not persuasive. As set forth in Legal Conclusion 13, the test for predetermination is whether District listened with an open mind and allowed Parents to meaningfully participate. Here, the evidence established that Parents were represented by counsel who participated in the discussion regarding school sites. An active exchange of ideas occurred during the IEP team meeting, revealing that Parents could not identify why they disapproved of Reed because they had never visited the school site. As set forth in Legal Conclusion 12, District was required to make an offer of a specific placement. Therefore, District’s maintenance of the Reed offer at the conclusion of the March 26, 2010 addendum IEP team meeting, after agreement by the parties for Parents to visit Reed, does not establish predetermination. Issue 3: Did District deny Student a FAPE for the 2009-2010 SY, from March 24, 2010, onwards, by failing to provide the agreed-upon services of RSP, five times a week for 30 minutes a session, and OT, two times a week for 25 minutes a session? 18. Student contends that District was required to provide him with pull-out RSP services for five times a week, 30 minutes a session, and pull-out OT services for two times a week, 25 minutes a session, because Parents had consented to those services. Student relies upon the September 1, 2009 “Signature and Parent Consent” page to establish parental consent to these services. However, as determined in Factual Finding 12, the “Signature and Parent Consent” page was a counter-offer in the parties’ ongoing settlement negotiations in September 2009, and not consent to the August 27, 2009 IEP. Even if it is considered as parental consent to some of the services offered in the August 27, 2009 IEP, the consent did not extend into the time period of March 24, 2010, onwards. Based upon Factual Findings 14 and 15, the October 9, 2009 letter by Parents revoked consent to the RSP and OT services because Parents notified District that they would be privately placing Student. Accordingly, between March 24, 2010, and March 26, 2010, District did not have parental authorization to provide the RSP and OT services. 19. As determined in Factual Finding 28, the March 26, 2010 addendum IEP reiterated the August 27, 2009 IEP offer of RSP and OT services. However, the evidence did not establish that Parents consented to the provision of the RSP and OT services following the March 26, 2010 IEP. 11 Because the October 9, 2009 letter revoked any consent that may have existed prior to the March 26, 2010 addendum IEP, based upon Legal Conclusion 17, Parents needed to provide consent to the RSP and OT services for District to have an obligation to provide the services during the pendency of the dispute over the Reed placement. Since consent was not provided, District did not deny Student a FAPE by failing to provide pull-out RSP and pull-out OT services from March 24, 2010, onwards. 20. Student contends that he is entitled to services under a theory of equity because District continued to treat him as a student within its educational boundaries, holding IEP team meetings and conducting a welfare check, through the 2009-2010 SY. He contends that it was only after he filed for a due process hearing that District raised the issue of residency. Student fails to provide any legal authority for his equity argument. Regardless, Student’s argument fails. The center of the dispute between the parties is the offer of Reed. Because Parents believed it to be predetermined, they revoked all consent, to the extent it may have been provided, for services through the October 9, 2009 letter. Once Parents revoked consent, Student needed to establish either that District had predetermined his placement at Reed or that consent had been granted after October 9, 2009. Student established neither. Accordingly, Student was not denied a FAPE from March 24, 2010, onwards, with respect to the provision of pull-out RSP and pull-out OT services. 11 Student did not challenge the adequacy of the District’s offer to meet his unique needs.